Our Wildway Crew highlights ordinary people doing extraordinary things. Outlook = "Train hard, to be hard to be beat"
Meet Joseph. 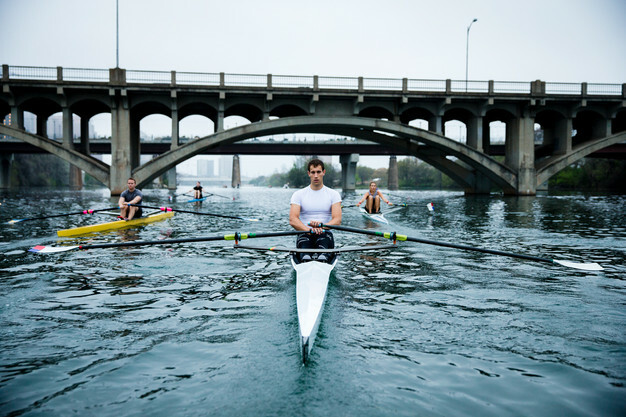 After being picked to try out for the Olympics at the age of 16 (and narrowly missing), Joseph fell in love with the sport of rowing and became more determined than ever to make the Olympic Team. He has his sights set on Tokyo 2020, so he spends 6 days a week training hard, refueling, and concentrating on his athletic performance. His commitment is impressive, and we are cheering him on every step of the way. "My drive to become an athletic world champion started in grade school in the county of Surrey, England, which is as big and populated as Houston. I was 16 years old, and standing taller than 6 feet, which automatically allowed me to test for the 2012 Olympic Talent Identification Programme (TID) for Flat-Water Sprint Canoeing. The first I heard about it was when my name showed up on a classroom board, and they asked me to skip class and go to the school gymnasium. It seemed like a fair deal to me. Unfortunately, I wasn’t the only tall teenager in town; little did I know, I was about to compete against 2,000 other athletes my height (or taller) in a series of lung-burning physiological and stimulating psychological assessments. After 2 grueling months, they whittled us down to 4 students, and I was one of them. My life was also a balancing act. I was attending school, starting a career in Sales, and working my way toward a University degree in Sports Science. Later, I would become a successful personal trainer and fitness consultant. However, my commitment to canoeing over the next 4 years was well worth it. Not only did I represent Great Britain internationally, but I won several competitions across Europe in my sport. It was an overwhelming reward for the high intensity training I had logged. My passion for sport continued to develop even after I missed selection to compete in the 2012 Olympics because of the 2 standard races for Flat-Water Sprint Canoeing, I was one of the fastest in the 1000 meter race, but needed to cut my 200 meter race time by 4 seconds. It was a tough blow, yet a turning point in my athletic career. To this day, I have not let it stop me from achieving my dream. 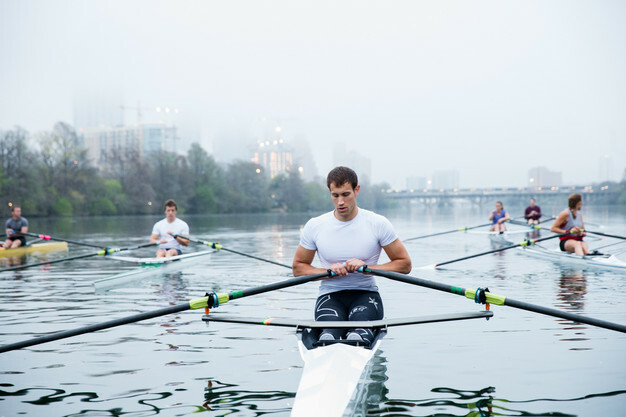 My coach at the time, a canoeing Olympic finalist, suggested turning my focus onto rowing by starting with a 2000 meter (2K) ergometer row, which is a standard rowing assessment distance. I had never even sat on an erg machine, but managed to complete the row in 6 minutes, 14 seconds, which ranked me in the top 15% in the country and automatically earned me an invitation to train at Molesey Boat Club, one of the most prestigious, high-performing rowing clubs in the UK. Within months, I was competing in a variety of boats, sweeping and sculling in London, Northern England, and Portugal. Being selected to train and compete nationally for rowing was a privilege as it’s now part of my everyday life that I really enjoy. What draws me to rowing and what I enjoy is the rush I get out of winning a race with a team is incredibly satisfying. It’s a unique feeling when the boat feels as if it’s effortlessly gliding across the water as a result of our crew being in sync and pushing their hardest to beat the opposition. Not all training goes my way. Some sessions I feel tired, unfocused and therefore, feel unproductive; however, if it weren’t for the tough sessions, the wins wouldn’t feel as satisfying. I train 6 days a week, twice per day always leaving myself 1 day to recover physically and mentally to prevent overtraining. 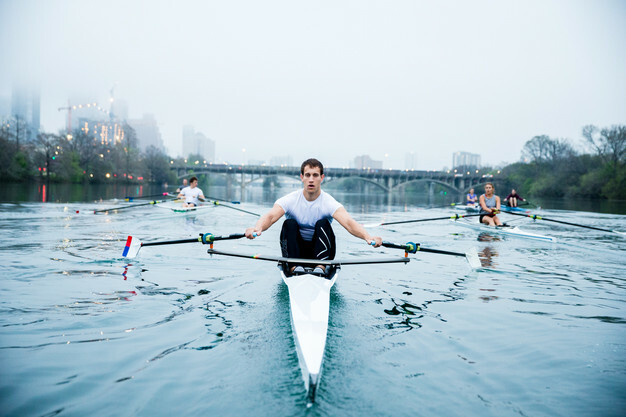 My training does not consist of only rowing but includes sports that enhance strength, power and endurance in relevant muscle groups (legs, back and core) and movements to rowing. This includes running, swimming, cycling and countless reps of squats, dead lifts, leg press, cleans, snatches; as much as I love rowing, it's refreshing to work on fitness outside of a boat. My nutrition coach happens to be my wife, and she suggests as a high-performance athlete, I consume >5000 calories/day. It would be easier if I could eat dairy, grains, gluten and cheesecake; however, consuming nutrient-dense, paleo foods yields better results. My love for Wildway started after I came home to a box of Wildway that my generous wife, Michelle, (also an Aggie I’d like to add) had bought me. 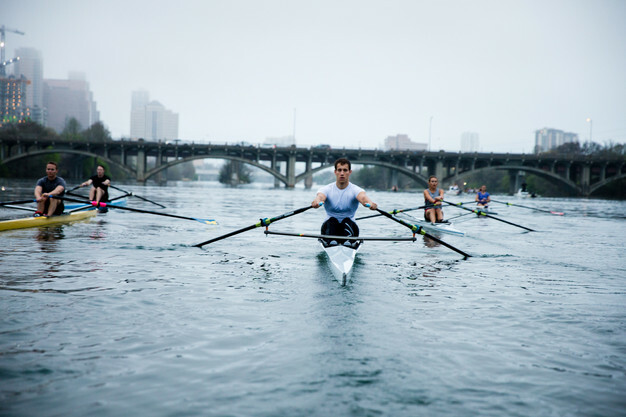 I greatly appreciated the grain-free, natural ingredient hot cereal considering that morning was spent racking up miles of arduous rowing on Austin’s Town Lake in the foggy, gloomy Autumnal climates. Usually, I struggle to find nutritious, paleo-like snacks after leg burning, aerobically challenging, mentally taxing training sessions; however, in this case, Wildway came to the rescue. Since then, I routinely include Wildway in my morning routine and have felt considerable changes to my energy levels throughout the day which as a result, gives me confidence to succeed in my training sessions that follow. It’ll take persistence, patience and grit to get to the 2020 Olympics. I’m 6 seconds off of a 2km rowing machine test to be considered for the US Rowing team. My time has to be below 6 minutes. To get below that time, I’ll need to continue training at the intensity and volume I am. 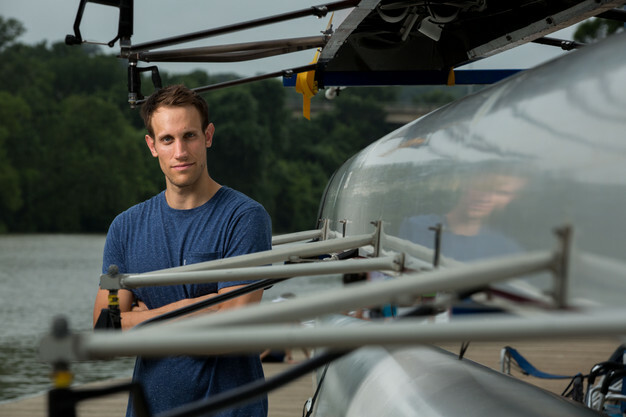 I’ll also need to compete in as many regattas as possible to get my name and performance recognised by the US rowing world." Meet the LaTorre family. Husband, wife, and new baby- this family doesn't slow down. Forever on the move, the LaTorre family is always adventuring, learning, and inspiring. Read their story and be amazed! Meet Katie. Professional climber, competing nationally and worldwide. She ditched her finance career to pursue a minimalist life exploring the world. Read her story and be amazed by how high she climbs. Meet Patrick. American Ninja Warrior competitor and fitness coach. Patrick is dedicated, disciplined, and always striving to be a better version of himself. He makes it his mission to help improve the health and fitness of as many people as he can and he's just getting started. Read his story and be inspired!